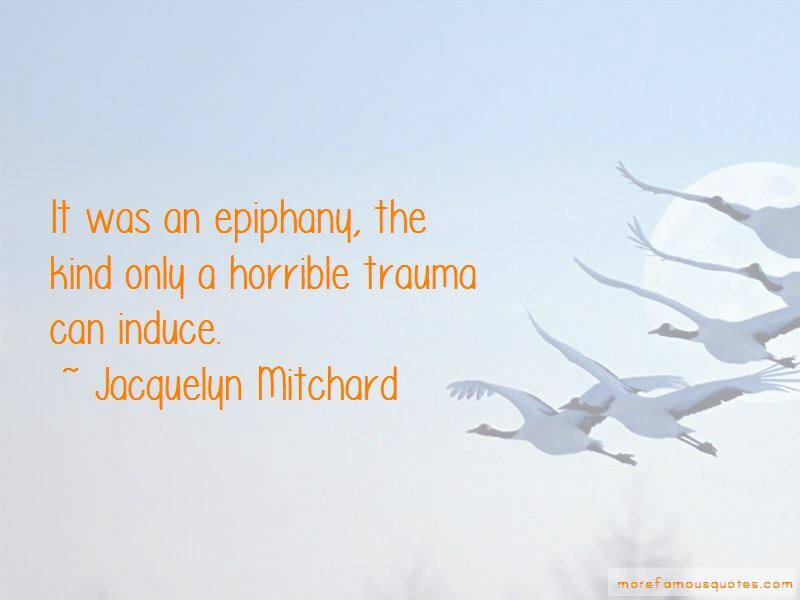 Enjoy the top 24 famous quotes, sayings and quotations by Jacquelyn Mitchard. There's a strange sensation - you recall it from childhood - about sleeping in the afternoon. You rise into a different world from the one in which you lay down. The shadows have been rearranged. There's a sensation of sad sweetness, as if something has been overlooked. I used to feel it coming out of the movies just before dinnertime, after the matinee. How, I wondered, did Broadway actors face it, this bittersweet sense of time's slipping past. I loved the terrier quality Stuart had. He thought he was such a tough guy. “You have that syndrome that chronically sick kids get, like overdeveloped conscience syndrome," she announced. Juliet laughed. "I did. You have it though. You always feel like you're inconveniencing somebody." "I am always inconveniencing somebody. I'm an inconvenient person." The ideal structure for a family is one that remains so. 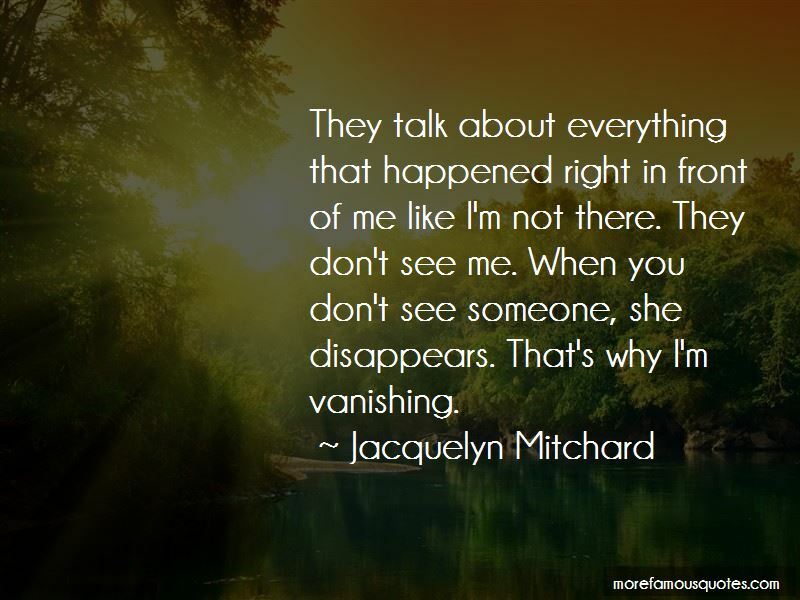 Want to see more pictures of Jacquelyn Mitchard quotes? 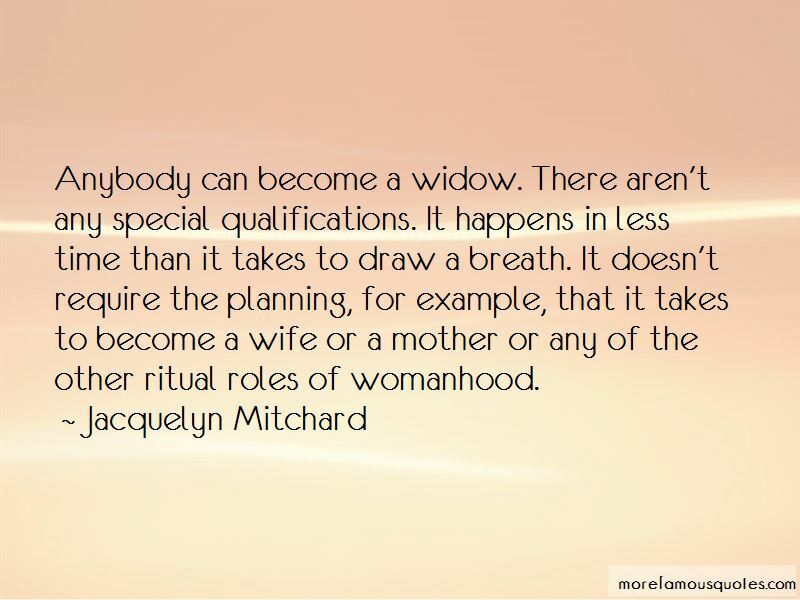 Click on image of Jacquelyn Mitchard quotes to view full size.